Scientists in Costa Rica are finding that biodiversity on and around farms can increase yields, lower input needs, and provide protection against environmental stresses. Gretchen Daily (right) of Stanford University’s Center for Conservation Biology tags a bird caught in a drift net. 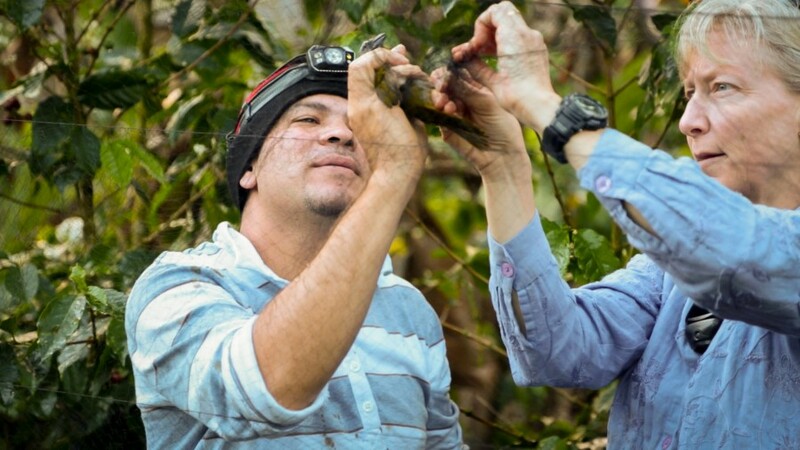 Daily and her colleagues have been studying the contribution of birds to pest control on Costa Rican farms. Photo by Sam Eaton.